BuzzFeed and Huffington Post co-founder Jonah Peretti talked at Web 2.0 Expo today about the much misunderstood subject of how to make something go viral (no it’s not all about cats and bacon). Peretti began the talk running through his various early experiments in virality and what they taught him about why content spreads. As part of his theory as to why content that elicits a reaction from users has more of a penchant for going viral, Peretti contrasted Google and Facebook in terms of their approaches to information. The difference between the “Google” and “Facebook” approach is namely that the Google philosophy is that media is about finding information related to queries like “How to stop oily skin?.” On Facebook media is just another way to express your feelings and more importantly a way to do something with your friends.“On Facebook you share things that define you,” Peretti said, as opposed sharing something trashy or embarrassing like that oily skin thing. 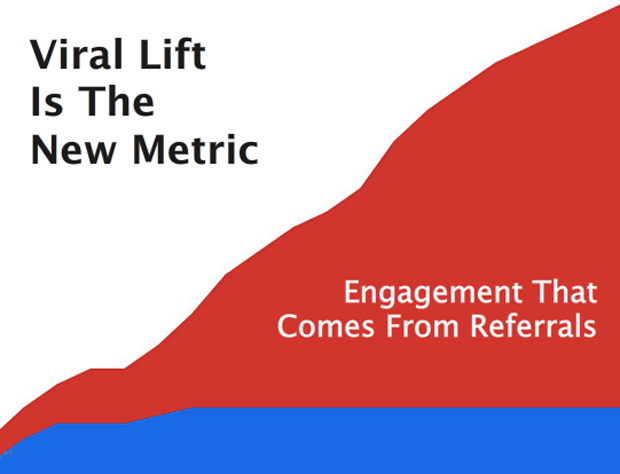 A lot of Peretti’s points could be gleaned from the single slide below, which shows “Viral Lift” or user engagement that isn’t from normal site traffic but instead from sharing activities happening on sites like StumbleUpon, Facebook and Reddit. BuzzFeed is designed with this viral lift in mind, and arranges it’s navigation to focus specifically on user reactions, separating it’s content into the Internet-inspired emotions “LOL,””omg,””wtf””cute,””win’ and “geeky” instead of by traditional news topic. But what BuzzFeed does that’s particularly notable is that it extends these devices beyond editorial content to ads, sharing one CMS format for editorial and advertising, and optimizing its ads for viral distribution as well. Features like “Badges” and “Add Yours” where users can create their own viral content allow readers to go beyond reading and further engage and also apply to ads as well. “Think of your social content not as information you want to get into people’s heads, but as an excuse for people to react,” Peretti explained was the key to virality. “The content matters, but [what matters] more importantly the ability to share a laugh with friend.” BuzzFeed is slated to hit 11 million uniques in March.